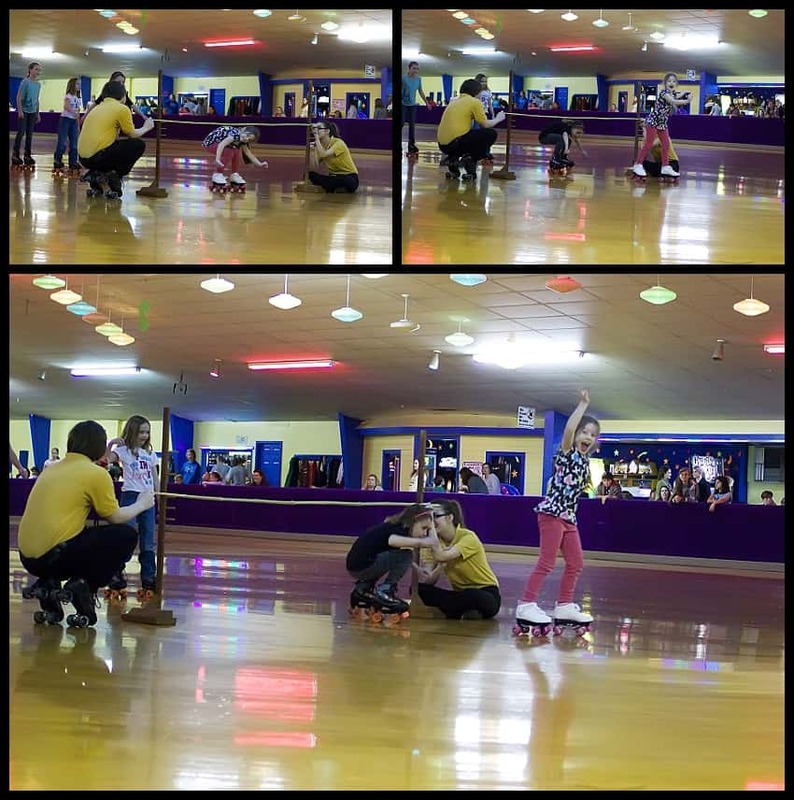 Homeschool Roller Skating- the most eagerly anticipated day of the month! In leu of the usual box of candy and small presents the kids get for Valentine’s day I won them nearly new skates off of Ebay. It took me about 3 weeks to get all the sizes we needed at good prices, but it was quite fun watching and bidding- especially since I love a good deal. We gave them their presents early so we could have them for homeschool skate this month. As expected it was a wonderful day! 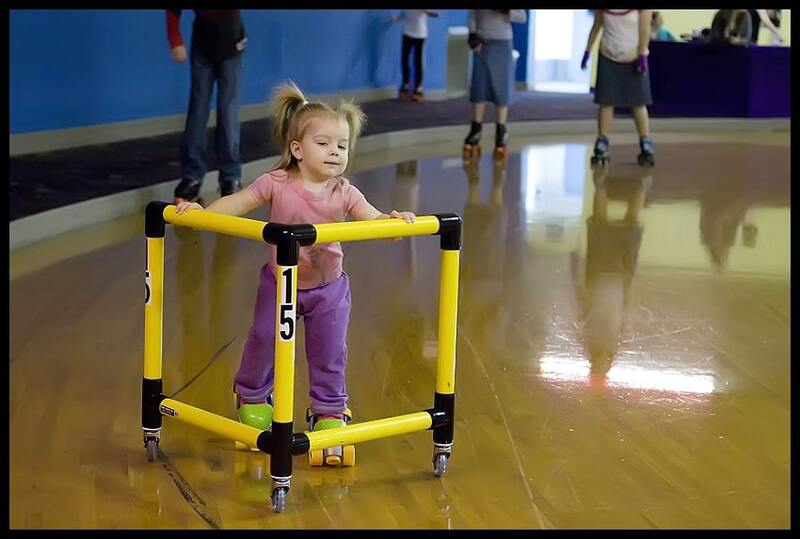 The rink was not crowded, so even Emily was able to skate without fear of being trampled. 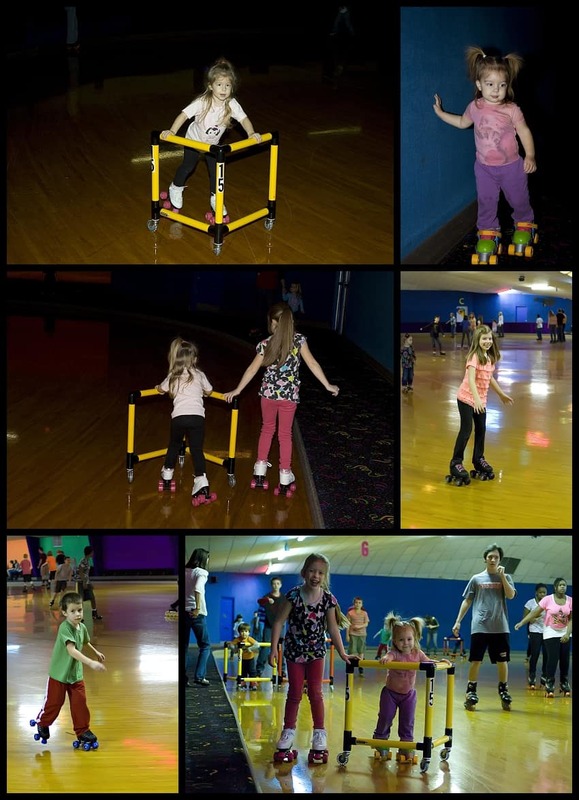 The rink has ‘skatemate’ walkers for the little skaters which helps Peyton be independent on the rink without multiple falls. 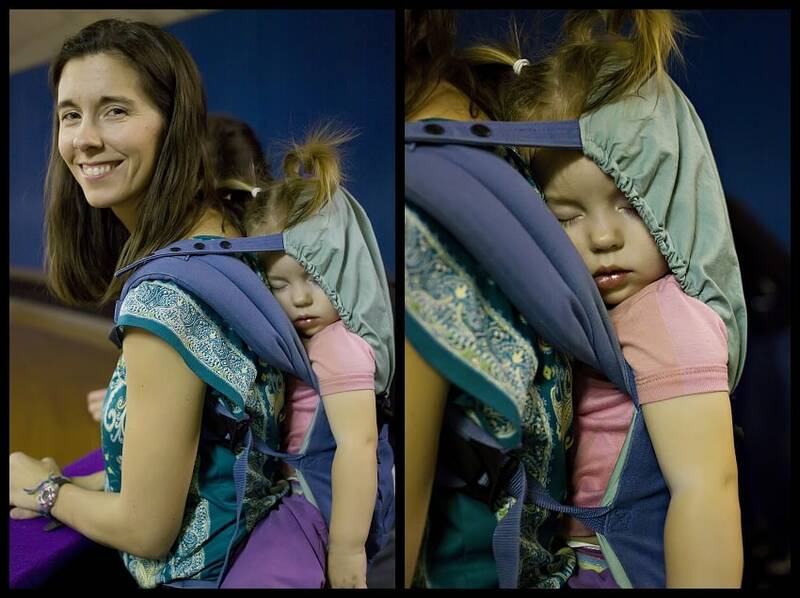 Peyton gets tired when skating, so Emily was able to play with the skatemate while Peyton rested. 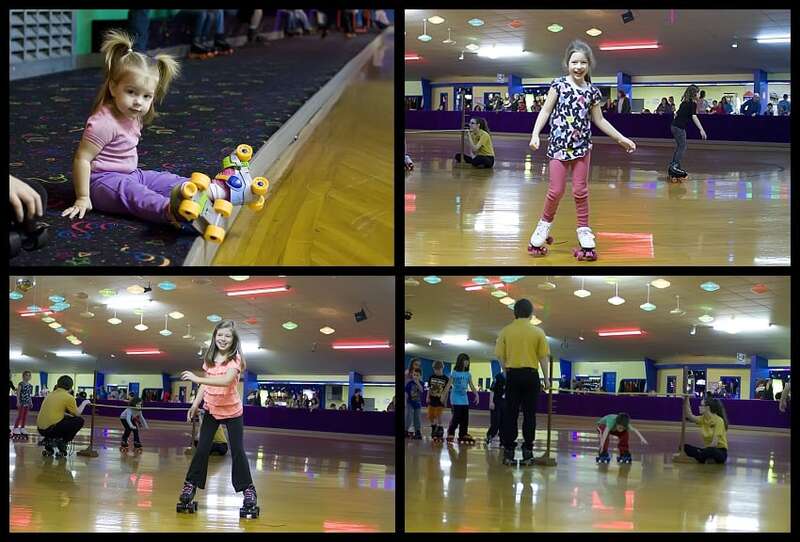 I love that many of our homeschooling friends also attend skate day. 10 families skating means many extra Moms to help keep watch and 23 friends to skate with- not to mention the several Moms (and Dad) who also put on skates and the many children the kids recognize from our other homeschooling activities. I can’t believe how blessed we are with our local homeschooling community. Days like yesterday remind me about our lonely start to homeschooling and I am so thankful for the relationships we’ve grown in the last 4 years! This is our 4th time roller skating since November. The kids started out holding on to walls and falling all over the place, and now all three of the big kids are very sturdy on their skates. Peyton would be too if I tightened her wheels so they’d roll less- but I’m afraid she’ll rely on that and have to learn to skate all over again later. Those first visits the kids couldn’t leave the safety of the wall or carpet to play the skating games. Now they can’t wait for each game to be announced! Bek still loves to celebrate both her victories and others– here is her Limbo victory dance. Emily was very angry about being denied the chance to play Limbo. And later in the afternoon she crashed on my back after wearing herself out skating.